Last week at this time I was planning a presentation to a mom’s group in a warm-hearted town in Indiana, a “fur piece” (as we died-in-the-seersucker Southerners are known to say) from my home in central Florida. I had tweaked and edited and honed my message from my new book Too Blessed to be Stressed for Moms to perfection – so I thought – making each carefully considered succinct word count toward making my most excellent point. So the morning of the presentation a few days later, as I stood before the room full of moms in various stages of stress and exhaustion (some were comforting squalling infants in arms, while others had deposited their little bundles of endless energy in the nursery), I heard it. Yep. I surely did. It’s so hard to hear sometimes. Especially in the chaotic throes of everyday life. Or when we’re trying to meticulously follow the speech written out before us so we don’t exceed our allotted time limit. It? I’m talking about the still small voice of God. Actually, the Holy Spirit, the member of the Trinity (Father, Son, and Holy Spirit) whose job is to advise, guide, and instruct us. He doesn’t shout at us in claps of thunder or windstorms or earthquakes or blazing flames. Oh, how I wish He would. No, He whispers with a still small voice(1 Kings 19: 11-13). A girl’s gotta eat, right? Let me tell you, sister, He has a tough job guiding many of us, because before you can follow his guidance, you have to hear it. You have to intentionally listen for it and learn to discern His gentle voice above the cacophony of circumstantial worldly noise trying to drown Him out. And the way you learn to discern is by practice. So I’ll admit, sometimes I succumb to the self-imposed urgency of my little world and I miss it. I miss the message. I miss the steerage that I signed up for when I asked Jesus to be Lord of my life. And I truly want – more than anything – to hear that still small voice when He speaks to me. I fought the Voice for a long moment. My personal annoying need to finish what I’d started was wicked strong. I even started in on the next paragraph of my speech. But I had to stop mid-sentence. Because I knew what I knew from experience to be my heavenly Father’s voice, and after all, I asked Him every single day to lead and guide me. Here He was doing just that. The BIG question was, and always is with us stubborn stick-to-my-own-agenda Christ-followers: would I obey? Glancing distraughtly at my watch, and knowing if I injected the story now, I’d have to cut out the last page of my perfect speech (and thereby ruining it, in my humble but accurate opinion). Dang it. I’d worked hard on that speech. I just stood there in awkward silence at the podium, trying to decide. As the ladies stared up at me with confusion on their faces, a baby cried. One single wail before her mama held her close and comforted her. It was then I knew with certainty what I would do. You know, it’s always a choice. So I told them. 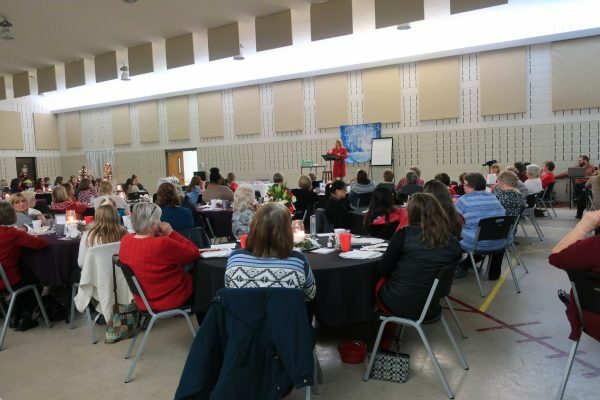 I told those sweet earnest young mothers the amazing story of Papa God’s redemption of a horrible situation, His restoration of my broken heart by a series of unlikely miracles, and His provision of life and hope where there had been none. By the time I finished, I’d gone way overtime. I didn’t get to finish my speech. But I felt okay about it. You bet I did. And I still am. So Papa God stole my show. And I couldn’t be happier. Maybe I should just toss my next speech before I even start. Dearest BBFF (Blessed Blog Friend Forever), how do you hear Papa God’s still small voice in the din of your little world? 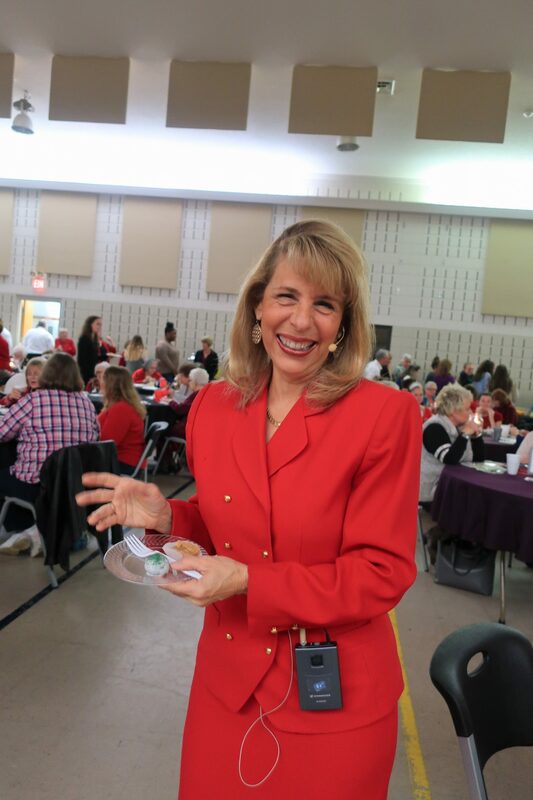 *Watch for my next e-newsletter coming your way within the next few days! It contains some terrific Christmas gift ideas and my brand new Enjoy the Joy this Christmas giveaway. 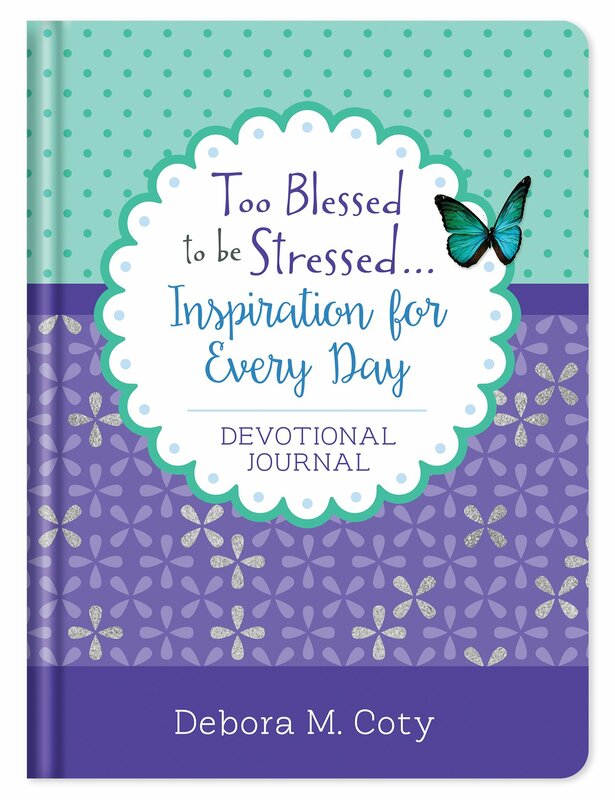 You can win all my newest books to keep or gift to your besties, including Too Blessed to be Stressed for Moms and my newly released reconfigured 365-day devo, Inspiration for Every Day: Devotional Journal! 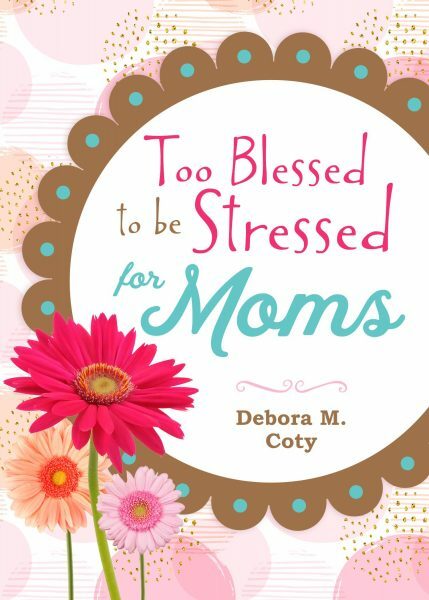 If you don’t already receive my FREE Too Blessed to be Stressed newsletter, be sure to subscribe right here at my website DeboraCoty.com so you won’t miss a thing. Hugs! Great move Deb. You injected a new story for a reason, a valid reason, for a purpose. 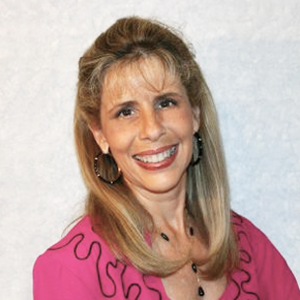 Deb, What a blessing you were to that young woman and to many others who heard you speak from the prompting of the Holy Spirit. We never know how many times we are able to bless others by being open to being used by the Lord!! I was recently able to share some of your story at an event I was attending to another woman who needed to hear that message of hope! What a testimony of faithfulness!